Now we are down in Exeter, Devon in the south west of England. Shirley is attending a conference here on student health as she deals with a lot of university students at her health centre. We are staying in The University of Exeter's Holland Hall, overlooking the valley of The River Exe. It seems that students even have double beds these days and en suite bathrooms. It was never like that in my day. We slept in cells and shared bathrooms. Why did I never have a dressing gown back then? I have just got back to our pad from a hearty breakfast. The view from that breakfast room is fabulous. One hundred and eighty degrees of the verdant Exe Valley. Marvellous. I had a long walk yesterday and I am planning another for today. Yesterday I caught the 10.13 train to Exmouth where I slouched around in grey drizzle before catching the 11.40 ferry to the village of Starcross on the other side of the estuary. I was the only passenger and felt like Richard Branson or Donald Trump must feel as they board their exclusive transport. But I haven't got Trump's golden hair or Branson's inane grin. At Starcross the weather was brightening and it got better as I plodded the twelve miles back to Exwick - mostly by The Exeter Canal which runs parallel to the tidal and temperamental Exe. It was a delightful walk and I saw many wonderful things along the way. Some photographic evidence of which follows but now I must get ready to drive up onto Dartmoor for my next long walk. Some forty five miles west of The Isle of Lewis, exposed to the worst and the best that The Atlantic Ocean can deliver. lies the rocky archipelago of St Kilda. The main island is called Hirta and once it was populated by genuine St Kildans. Nowadays, the only people who stay there are bird watchers, National Trust workers, occasional trawlermen, scientists and military personnel. I have blogged about St Kilda before. It's the kind of place that fires one's emotions and one's imaginings. 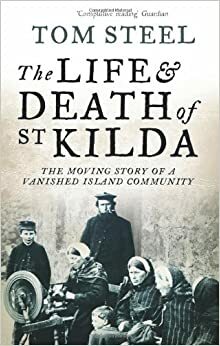 While on holiday in Crete I read an excellent book about Hirta called "The Life and Death of St Kilda" by Tom Steel. It was written with passionate interest, after painstaking research and though it was a very different and more demanding book than "The Unlikely Pilgrimage of Harold Fry" I ate up every word. 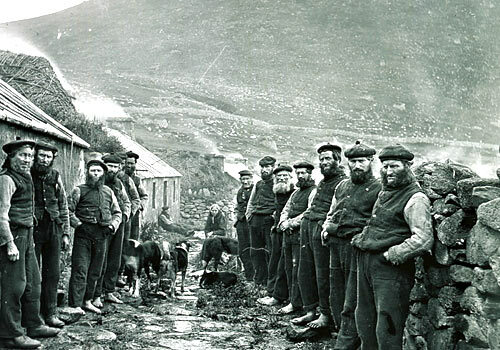 Long before Christian religion appeared on Hirta, before formal education, before paternalistic lairds from the Hebridean islands, before Spanish trawlermen or the Ministry of Defence, long before that the people of St Kilda were self-sufficient and had very little contact with the outer world. The population was never large - two hundred at most but usually more like one hundred to one hundred and fifty. Even today nobody knows how people first arrived at this lonely place, where they came from and why. They had songs, they danced and they shared stories but that was a couple of centuries before the sorrowful evacuation that happened in August 1930 - taking the remaining thirty six St Kildans to new lives in Scotland. Even by then the old songs were forgotten, hidden by the passage of time and puritan religion that interfered with their everyday quest for survival. Stuck out in the Atlantic, the islands were so attractive to seabirds that they came in their millions - gannets, puffins, guillemots, terns and the fulmar petrel which was greatly prized by St Kildans throughout their long occupation. Though treeless Hirta and its sister islets have plentiful fish supplies, the islanders mainly survived on seabirds. They ate their eggs and plucked their feathers. Each summer they preserved thousands of them ready for the harsh winter that was bound to follow. The oil from the fulmar petrel's belly had many uses - including lighting the islanders' humble "black houses" that had thick stone walls and turf roofs - strong enough to endure Atlantic gales that frequently blew at over 100 mph for days on end. They also had oats, seaweed and primitive Soay sheep. It must have been some time in the eighteenth century that potatoes were first introduced but they never grew well on Hirta. This blogpost is threatening to grow as long as a length of Hirta tweed. So much of what Tom Steel wrote is still in my head and under my skin. I am reminded of other islands and fatal impacts - including Australia, Mauritius, Tristan da Cunha and of course Rapa Nui (Easter Island). So many precious things are lost when the first contact is made and then there is no going back. The end of the St Kildan civilisation was sadly inevitable. Those resourceful people could never have lived in a bubble, removed from the voracious modern world. Though they are gone, tantalising evidence of their long existence in the archipelago remains. New things are discovered every year and more things will be discovered in the future but as at Easter Island, some secrets will remain hidden forever. Is it so wrong of me to want to go there? Perhaps one day I shall, if the sea is calm enough to disembark in Village Bay where the main street of Victorian cottages has been largely restored by The National Trust. Much of the original village of black houses was bulldozed away by the army in the 1950's when they built a missile tracking station there. Imagine that - tracking missiles where once young men tied themselves to rocks and descended perpendicular cliffs to retrieve young fulmars every springtime. The contrast is so vivid it is almost unspeakable. High in the eastern mountains of Crete there is a verdant plateau. You arrive there after a winding twenty mile climb from the sleepy town of Neapoli. Up through barren hills where the precipitous road threatens to plunge your car down into dry riverbeds far below. A place where mountain goats wear bells round their necks and feed on spiky bushes. Then there’s a honey seller at the roadside. Grey-haired and eager to trade , she beckons you to pull in but you keep on going, up into the clouds and the cobalt blue sky. You imagine you are nearly there but you are not there until finally it appears spread out before you like a huge green quilt – The Lasithi Plateau. A secret world. We headed for a village called Psycro and parked under an olive tree before climbing up a paved path to the Dikteon Cave where legend says that Zeus was born. We were not alone. There were plenty of Russians from tour buses. They are the new discoverers of Mediterranean lands with their pockets bulging with roubles and their manners left at home. Everywhere they go they snap pictures of themselves with different backdrops. I believe the men are all called Ivan – a terrible name. Some of the women paid ten euros to ride on donkeys to the top. One or two of these poor beasts shat themselves in protest. It cost four euros each to descend into the cave and in spite of the Russians we were not unhappy with the experience. 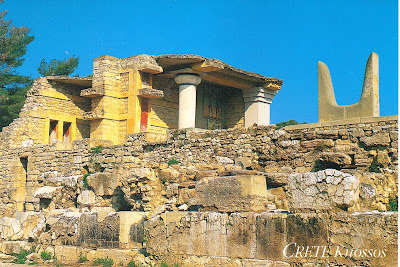 I would have like to stay much longer on the Lasithi Plateau, perhaps walking in the heat up to the ancient Minoan site of Karfi but you can’t do everything in seven days – unless you are God – or maybe Zeus. But I was glad to have seen this secret plateau, high in the mountains, after which Crete’s most eastern province is named. Home tomorrow evening... We have enjoyed our little trip to Crete. Probably more will be written later on. I bet you can’t wait! Spinalonga has become one of the main magnets for tourists in eastern Crete. Some of its popularity is no doubt down to the success of Victoria Hislop’s novel “The Island” which used the rocky islet as an enchanting backdrop to fictional events. Shirley said that she very much enjoyed the book though I haven’t read it myself. No doubt the majority of its fans have been of the female persuasion -whereas I am of course a rough-tough-machoman who prefers swashbuckling tales of piracy, sporting achievement and warfare. In our little Nissan Pixo hire car we headed up to the main highway and then twenty miles east to the outskirts of Aghios Nikolaus. The Grecian road signs were like a puzzle in The Krypton Factor but after turning round we mnaged to find the road to Elounda. Thence to the tiny port of Plaka where we parked and purchased boat tickets to the island. Eight euros each. Aboard a converted fishing boat, accompanied by an array of other curious tourists, we headed out across the water and twenty minutes later we arrived at Spinalonga’s little wharf where there is a bronze statue to Captain Adrian the English mariner who, during a terrible storm, towed the diveboat there during the wharf’s construction in the late 1950’s. It was an act of unbridled heroism. Spinalonga has a very long history – as an ancient fortress and as a refuge for Muslims. Then in 1903 it became a leper colony which accommodated lepers from every corner of Crete. That colony existed right up until 1957 when modern medical practice had largely eradicated the disease. The way in which Crete’s lepers were treated in the first half of the twentieth century is a testament to ignorance and irrational fear. They were plonked on Spinalonga far from their families and community support – just like prisoners – but the unfortunate lepers had done nothing wrong. Baking in the sun, the little island is in a ruinous state. We wandered up to the crest of it and then circumnavigated it in less than fifteen minutes. If it could sing, it would sing a bitter-sweet lament – not just for the mistreated lepers but for the Muslim families who were expelled from Crete at the back end of the nineteenth century and no doubt – travelling way back in time there would be other deserving recipients of that sad song. “The Unlikely Pilgrimage of Harold Fry” is a novel by Rachel Joyce. I read it in just two days – 357 pages. The retired and ailing lower middle class hero of the novel sets off on a journey that he hadn’t intended or planned. Beginning on the south coast of Devon, he heads vaguely northwards, aiming for Berwick upon Tweed - some four hundred miles away. That is where a former work colleague is languishing in a hospice – victimised by cancer. Harold Fry is in his yachting shoes when he sets off. He has his wallet and a letter from the hospice but little else. Pilgrimages of the past were about plodding out the miles, meeting strangers along the way, mulling over life experiences, thoughts and feelings as much as they were about getting to the eventual destination. Not all pilgrimages were Christian. Stonehenge, for example, was certainly a place of pilgrimage many centuries before a Christian God came on the scene. Rachel Joyce’s novel connects with those countless pilgrimages of yesteryear and as well as reaching the hospice in Berwick, Harold Fry is also unravelling and examining who he is, what is important to him and how he has been shaped by his past. A great deal of his thinking surrounds his wife of forty six years – Maureen. When he set off, she had no idea that he was leaving but his departure causes her to scrutinise her own feelings and painful truths she buried years before. “The Unlikely Pilgrimage of Harold Fry” is quite a light read. It is easy to gobble up the pages – especially when one is on holiday. The book has its flaws but ultimately it is unashamedly humane, singing out with kind affection for those who live unremarkable lives. Like the people Harold meets along the way, everybody is different . You might say that behind our public facades, we are all like Harold Fry - trying to get by and generally failing to make much sense of our lives. This is the view from our hotel at Sissi on the north coast of Crete. I took the picture last evening . The island on the horizon is Dhia but we won't be going there. I am typing this near the hotel reception where the wi-fi connection is okay but now it is time to go for another swim and to see if Shirley has fried to a crisp on her sunbed. Perhaps a cold "Mythos" beer from the fridge is also in order. Life can be so hard sometimes. It seems like only yesterday that I first explored several of the Greek Islands - Rhodes, Folegandros, Hydra, Spetses, Sikinos, Myknonos, Naxos, Santorini, Skiathos, Delos etcetera. Yes. I saw a few and slept on plenty of beaches but I never made it to Crete. But on Thursday night that is where we will be for a week. 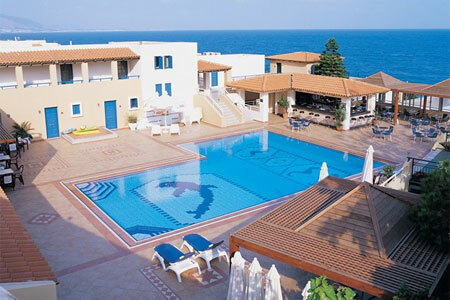 Apart from those trips, we want to swim and eat Greek food, lounge in the sun and read books. Whether or not I will be blogging from Crete I don't know but I will take this laptop just in case. Καληνύχτα! means "good night!" but it's all Greek to me. 8.30am Fred Fox is walking gingerly on top of our tall privet hedge. It's an eight foot drop to the lawn. We think he's looking for birds or birds' nests. Sparrows, a blackbird and a couple of robins are fluttering around Fred in alarm His sensitive snout keeps plunging into the hedge as if he's searching for breakfast. 11.30am I am at Higgy's flat with his cigarettes and his copy of "The Guardian". He is still in his dressing gown, watching "Good Morning Britain" with Philip Schofield and the delectable Amanda Holden. There's an item on about firming up women's booties using creams or various massage techniques. Bizarre! Higgy is going back to hospital for a pre-biopsy assessment tomorrow. He has become a living skeleton in the last month and has lost the will to even leave his flat. Poor lad. 2.00pm I am out at the verge in front of our house, trying to repair some of the damage caused by "Streets Ahead" contractors. It's a long story. I am revealing the old stone kerbstones they tarmacked over and adding an extra stone where they lazily extended the verge by six inches and filled in with road planings. I am also turfing around the tree where they sprayed weed killer and I am scattering grass seeds where they scalped the grass or drove plant machinery over it. 5.30pm I am making our evening meal - a strange vegetable stir fry with rice. I also threw in a couple of eggs and some dark soy sauce. Shirley enjoys it. We have Bakewell tart and vanilla custard for dessert. 7.00pm I am on the internet buying car hire excess insurance for when we are in Crete. Yes. I finally booked us a holiday! Seven days in eastern Crete. Decent flights from Manchester and the hotel is half board. I have upgraded to a one bedroom apartment with a sea view. We leave on Thursday morning. All for less than £600 ($US 935, $AUS 1204). 8.00pm In an hour I will be off to "The Rising Sun" quiz on Abbey Lane with Mick and Mike. Let's hope that nobody is using smart phones tonight! It's hard to win a quiz when you are up against cheats with smart phones. Parwich is a fairly substantial village in the Peak District. No A or B roads pass through it and when I approached it from the main Ashbourne to Buxton road, the signpost at the lane end had disappeared so I had to check my map and then turn back. The lane itself was very narrow with passing places and overhanging trees - it was as if I was travelling through a green sunlit tunnel to some magical place. And Parwich is indeed magical. Its houses are all constructed from local white-grey limestone. There's a village green, a pond, a church, a village hall, a bowling green and a pub - "The Sycamore Inn". A woman in a floral dress rode past me on an old black bicycle with a wicker basket on the front. It was as if I was suddenly back in the 1950's. The village that time forgot. No crime or immigrants. No vandalism or vulgarity Respectable white Anglo-Saxon England as it used to be. I almost expected Morris dancers to jangle round the corner or shire horses pulling carts of newly scythed hay from surrounding meadows. And the sun shone down like soothing honey on an early summer's day that seemed timeless and untroubled. Bees hummed in the hedgerows and docile cows with big brown eyes looked up from buttercup pastures as I strode by. To Sitterlow and Gorsehill Farm then on to Bradbourne Mill and Bradbourne - a "thankful village" - thankful because the eighteen men who left it to fight in World War One all came home. There are only fifty one such villages in our country. Then onwards to Dullands Farm and past the redundant little church in Ballidon. Its last ever service was in April 2003. Then up to Ballidon limestone quarry and along lovely Monsdale Lane back to Parwich. Magical and utterly therapeutic. It wasn't the easiest of walks because several of the paths have clearly known very few boots for years and a couple of times I got a little lost but it wasn't the Australian bush. It was deepest Derbyshire and I was never going to be lost for long. At one point I looked to the hillock above me and saw of all things a strapping great llama. Then more ears appeared over the grassy knoll - a veritable herd of them all looking my way. Keep your distance you guys! I hopped over the nearby stile quite sharpish. After all, it's hard to argue with South American mammals when you don't speak Spanish! Still chasing my tail on this multi-faceted blog. Now I am going back to last Sunday in my attempt to bore unsuspecting blog visitors to tears and catch up with myself. Sunday was the day of our annual street party. The road was blocked off at both ends and chairs and tables were placed in the middle of our fresh tarmacadam. A lot of people came out with drinks and cakes, salads and bread rolls. There was even a tray of homemade scotch eggs. At the risk of making John Gray of Welsh Wales green with envy, those scotch eggs were mouth-watering little blighters - far better than any shop bought scotch egg I have ever consumed. To die for as some are wont to say. Your blog host was in charge of the barbecue, fending children off with my trusty trident and most happy to say again and again "They are not ready yet!" as I turned the sizzling burgers and prodded fat sausages, ensuring that they didn't slip to cremation in the white hot coals beneath the grill. There was face painting and ball games and lots of gossip as neighbours caught up with one another. Old mixing with young and long time residents meeting the new. Sadly, Norma didn't join us. She is ninety this year and gets about on one of those electric mobility scooters. She has lived in the same house for eighty six years - moving in with her parents in 1929 soon after it was built . After World War II she met her husband to be - Paul - an evacuee from Czechoslovakia - and soon he moved in with Norma's parents who later passed away. About ten years ago Paul himself died and Norma has lived on her own ever since. Her only son is a veterinary surgeon in Never Never Land (i.e. Lancashire). In spite of her physical frailty, Norma remains as bright as a button and remembers just about everything. A shame she didn't make it to our street party. Another long term resident - Thelma to the right with her best friend Marge. Eight year old Sophie is lying in the road next to our verge. Little Evan is watching over Adrian - his plastic headed dolly. It was the sixth annual street party and the weather was again kind - if a little blowy. At one point the mischievous wind caught one of the trolley barbecues and blew it over but the day was saved by The Head of Barbecuing who bravely righted the toppled cooking facility with some oven gloves and courageously swept up the glowing coals to warm applause from those assembled... and I wasn't even included in The Queen's Birthday Honours List! Can you believe it? That was me one night in Ao Nang, Thailand in June 2011. I had bought the mask and snorkel ahead of my little dream trip to the tiny island of Koh Poda in the Andaman Sea near Krabi. I often think of those three days - the peacefulness, the clear blue sea and not one other guest was staying there though a few visitors came from the mainland on day cruises in longtail boats. Life. It's funny that way isn't it? The majority of days are forgotten almost as soon as we have lived them but some days keep coming back to the surface like snorkellers constantly rising from a clear blue sea. Still catching up. Last Saturday my old friend Tony was over from East Yorkshire. We had been to see The Strawbs at The Greystones the night before but on that sunny Saturday morning we tootled off over the hills to lovely Longnor in Staffordshire. I had planned a fine ramble in The Manifold Valley and after parking (for free!) in Longnor's cute and historic market place we set off westwards. Very soon we reached Gauledge Farm where I had to rub my eyes. Imagine my surprise! My Beau and Peep were taking a farm holiday without our knowledge! Then we carried on our ramble. At Fawside, we held a gate open for a farmer who was leading a herd of milking cows to fresh pasture. We passed the time of day as a miniature traffic jam formed and the cows ambled into their field in bovine slow motion. Normally I walk alone, at my own pace, stopping whenever I want to do - usually to take pictures. When walking with somebody else it's a bit different. You have to be aware of their natural pace and be conscious of possible irritation that stops and diversions might cause. A couple of times, Tony's map reading skills seemed somewhat insecure. Once he wandered off across a meadow in a north easterly direction when the "path" went to the south east. I found myself standing by the next stile beckoning for him to join me. But this was partly forgivable because the "path" in question was surprisingly untrodden and the lush spring sward had hidden any evidence of it. Onwards to Bridge End and then along to Ludburn Farm. Back over The River Manifold and northwards past Lower and Over Boothlow towards Longnor and a very late but well-earned lunch in "Ye Olde Cheshire Cheese". In a field east of The Manifold I eyeballed a group of men I recognised from "The Hammer and Pincers" in Sheffield - twenty miles away. They form an opposing quiz team and usually do quite well. I gave them a Yorkshire greeting which is like a grunt - "Oreight?" Guard dog in Longnor - but it didn't bark! This blog is partly a traditional diary - for my own reference as life moves along. There are a few things I need to catch up on or I will probably forget about them. Let's go back to last Thursday and the 10.20am train from Dore and Totley Station to Chinley which is on The Dark Side of the hills that split northern England in two. There be dragons! At first, I was in a carriage with thirty or forty seven and eight year old children. Their teacher was taking them on the short ride to Grindleford which involves passing through The Totley Tunnel. Most of these mainly Asian children had probably never been on a train before and became both excited and agitated when we proceeded through the tunnel. Perhaps they thought there had been a sudden and total eclipse of The Sun! But they made it and left the carriage with their clipboards. The now much quieter train proceeded to Chinley. It was a delightful, sun-bathed day. From the station I walked to Lidgate and then up to the top of Eccles Pike before descending past Ollerenshaw Hall and Randal Carr Brook to Whaley Bridge. In The Memorial Park I met the park keeper, Paul Evans before ascending to Toddbrook Reservoir. He was one of those people who would win gold if talking were an Olympic event. Then onwards through the centre of Whaley Bridge to Bugsworth Canal Basin - another monument to the ingenuity and sheer graft of our Victorian forbears. And then a quick march back to Chinley via the course of the old tramway, in time to catch the 16:23 train home to Yorkshire.